I nod my head. I agree :). It is always enlightening. Energy is remarkable and I am now lost – I proudly respond :). But I don’t quite know why. A minute ago I was catching on to this physics stuff, now I am completely lost. Silence and all eyes are on me. One of the other students state “Craig, what the professor is trying to say is that this algebraic formula represents the correlation of energy to matter (energy equivalence of any given amount of mass)”. Here I am a new student trying to learn advanced physics who knows very little about how physics equations work. This all seems so overwhelming and it appears everyone is this room is much more intelligent than me. Will I ever learn physics? I have been taking physics classes for a year and a half. I have been struggling since I started. I was sitting there, looking at a college near my home. I heard the noise of the birds. The trees rose to the sky. My mind was at peace. And then I realized something that has completely changed my life. I don’t believe I can learn physics. You are probably thinking: That doesn’t make sense, if you don’t believe it then why are you studying it? Well for starters I was not aware of my limited belief. I am stubborn 🙂 It didn’t reveal itself in obvious ways. It was subtle. Because in my heart I didn’t believe I could learn physics I’ve studied half-heartedly. I thought I was working hard putting in the time and hitting the books. But I was lying to myself. When it came down it, I was not going all in because deep down inside I didn’t think I could do it. I held myself back. I went to physics class once per week. I studied my equations sometimes. I didn’t listen closely when others spoke in class. I would only sometimes listen, because deep down inside I thought what is the point, I will never be great at this. What thoughts are holding you back? There’s a common phrase I am sure you have heard: Believe it and you can do it. There is truth to it, but it is missing a key ingredient. It gives off a false solution. It makes it appear as if our beliefs are all we need. Belief alone is not enough. Our beliefs drive our actions. I am talking about the step between the belief and living it. The gurus often forget to mention that whole taking action part. When we believe something is possible our actions will align with those beliefs. Then overtime because we are taking action the results will come. For example, I didnt believe I could really learn physics . But I did believe I could study physics. Do you see the difference? I studied it, but I wasnt really learning it. 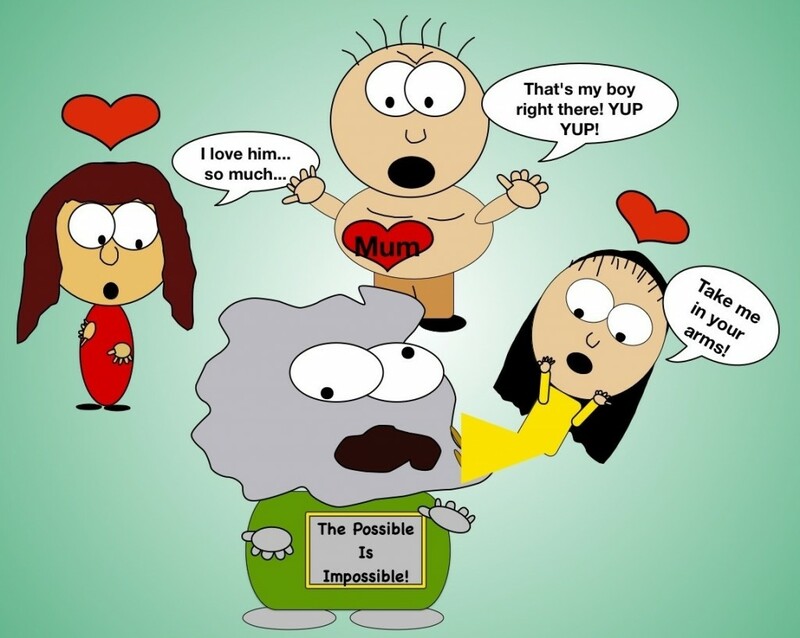 Here is a hard pill to swallow: We all have limiting beliefs! ALL OF US! This means if you are reading this and saying this does not apply to me you are wrong. The most dangerous thing about self-limiting beliefs is that they cloak behind the veil of being realistic the facts lack of talent not a natural and I am not good at it. It all changes once you discover your self-limiting beliefs Now, I’m on a mission to destroy them :). Lets jump into that now! 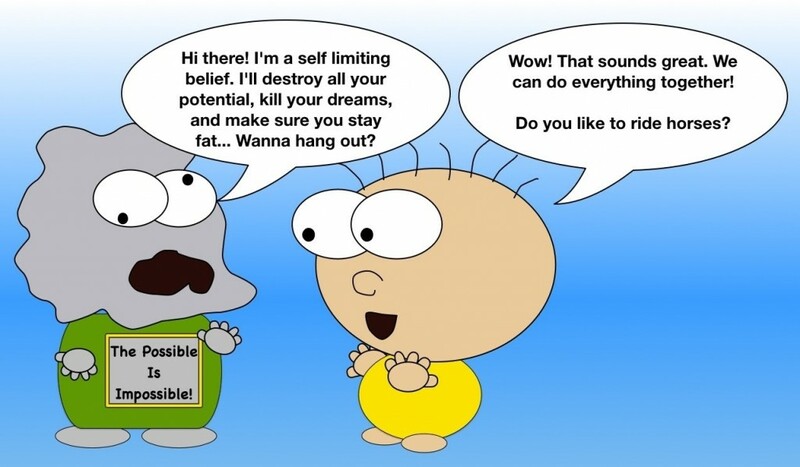 How to Identify Your Self-Limiting Beliefs and Destroy Them. Grab a piece of paper and a pen (or open a word document), and a timer. Put 5 minutes on the timer. Write down everything that comes to mind that you can’t do, but want to do. Start the timer. Go! Go! Go! Make sure to go on to step 2 otherwise this exercise will leave you seriously depressed :). I can’t learn physics. I can not understand Einstein’s general theory of relativity. I can’t speak Japanese. I can’t bench press 500 pounds. I can’t run a marathon. Step 2: Identify The Single Most Life Changing Thing You Can’t Do. Look at your list. There are going to be 1 or 2 things that really stick out. These are the things that are the most frustrating yet also the thing that would have the biggest impact on your life if you could do it. What is it? Yes! It’s the one that you are looking at and saying but I really can’t do this! Step 3: Turn This Thing You Can’t Do Into A How Question. Now look at your can’t statement. Now just turn it into a question Make sure to stick with me on this :). If it feels annoying, frustrating, or aggravating to turn it into a question you are on the right path! Self-limiting beliefs have been hardwired into our brain. By turning this into a question you are already challenging this belief, we don’t like our beliefs to be questioned. In other words if you want to quit now, close this window, and spit on me (for writing this post) Then you are onto something DON’T QUIT! How can I learn physics? This is powerful. Insanely powerful. I want you to go crazy and write down 20 different answers to the question you created above. Yes! It will be hard. Here is the key, any and every answer is okay! Don’t worry about if you can actually do it or not. Just put it down. The reason that all answers are okay to put down is because every answer spurs more creative answers. So even though I cannot afford to attend A prestigious University I can attend a local community college. One idea leads to the next. 1. Study more to learn physics. 2. Purchase a physics book and learn the lessons in it. 3. Join a study group. 4. Find a pretty and smart girl to tutor me. 5. Enroll in an online class. 6. Have a study day each week where all I do is practice physics. 7. Talk to myself about physics so I can better remember what I have learned. 8. Enroll in more physics classes. 9. Date a girl that is a physicist. 11. Record my professor’s speeches and listen to it later so I pick up on anything that I missed. 12. Watch physics videos on YouTube. 13. Ask people about cheap or free physics classes. 14. Make friends who are good at physics. 15. Attend events about advances physics. 16. Get a different point of view on areas where I struggle. 17. Create obtainable goals with timelines to help motivate me. 18. Carry a notebook and take notes everyday. 19. Get a job that has to do with physics. 20. Actually believe I can learn physics. Step 5: Choose 1 Answer And Immediately Take Action! Now look at your list of 20 things. Take action on one of those. Not 2, not 5, not 20. Just take action on 1 :). Down the road you can add a second one to the game :). I asked people about Cheat or free physic classes. Soon, I discovered physics classes that are offered 6 days a week for dirt cheap. Now I am attending these classes 3 days a week. They are incredible! Bottom line we all have beliefs that limit us. The key is to identify the ones that are having the most negative impact on our lives, take action and achieve what we thought we previously could not. It all starts with our mindset! What is your major self limiting belief? What is the one action you are going to take? This is a great motivational article with a powerful lesson about how low and how far our thoughts and beliefs could take us to. Thank you, I think here is a valuable resources that worth checking always.